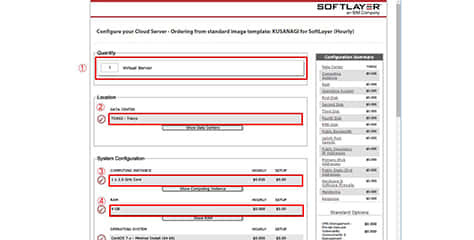 KUSANAGI for SoftLayer is a free virtual machine image built to execute WordPress at high speeds on on SoftLayer. 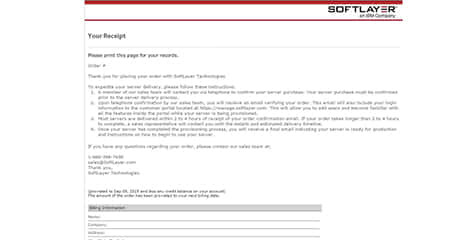 * This guide assumes you have an account with SoftLayer and are able to access the SoftLayer Customer Portal. 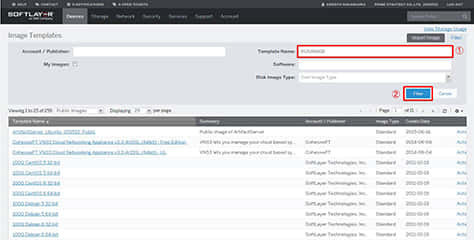 Search the list of Public Images for KUSANAGI for SoftLayer. 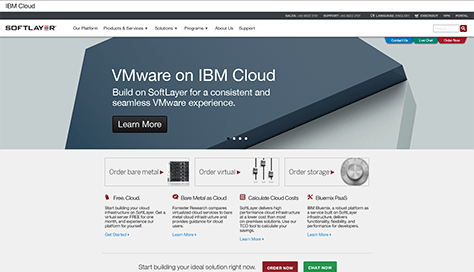 Log in to SoftLayer’s Customer Portal. 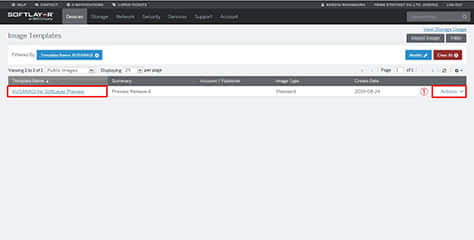 On the top menu, hover over “Devices”, then “Manage”, then click “Images”. The following screen will display. 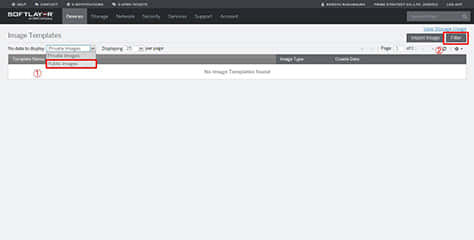 Select “Public Images” from the drop down menu under “Image Templates” and click “Filter” on the top right. 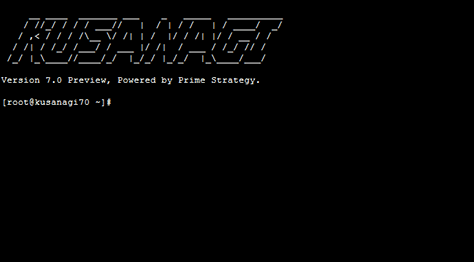 Enter “KUSANAGI” in the Template Name field then click the blue “Filter” button. 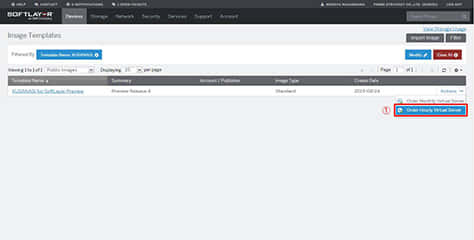 Once KUSANAGI for SoftLayer is shown, click “Actions” on the right side of the row. Click “Order Hourly Virtual Server”. The “Configure” screen will display. Finally, click “Continue Your Order” at the bottom of the screen. 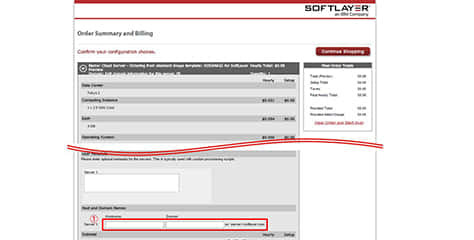 Then the “Order Summary and Billing” screen will display. 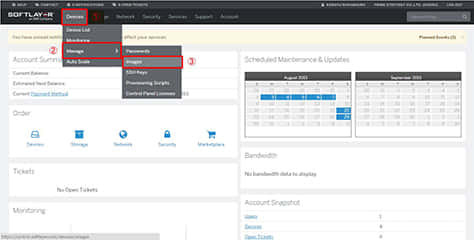 * The host name entered in this step can be changed later from the Customer Portal. If the domain or other details are yet to be decided, you can enter a temporary name in this step. If the “Your Receipt” screen is displayed, then your order is completed. Close the popup screen and return to the Customer Portal. On the top menu, hover over “Devices”, then click “Device List”. Configuration of the ordered virtual machine will begin. 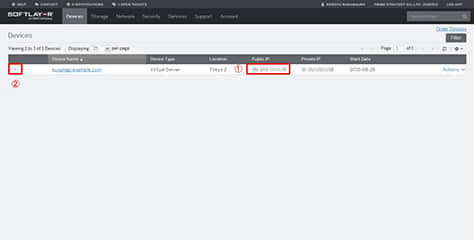 After configuration, the virtual machine will start up and the clock icon on the left side of the device name will disappear. If the clock icon does not disappear after 4 or 5 minutes, please refresh the page. Make note of the Public IP of the virtual machine. 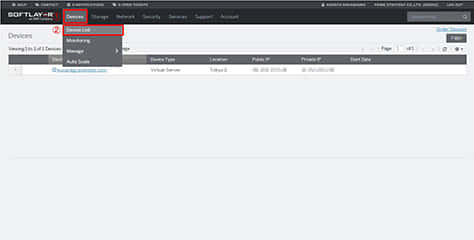 Click the arrow on the far left side of Device Name to display the details of the virtual machine. Check the box “Show Password” to show the root password. 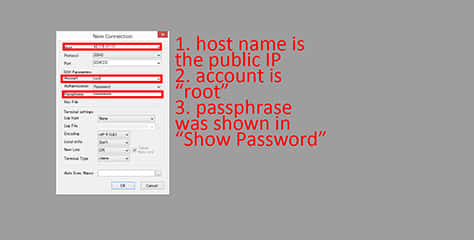 Make note of this password since it will be used to log in by SSH. 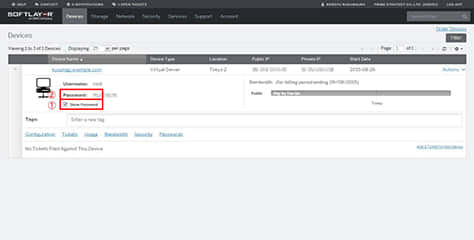 Below we will explain how to log in to your virtual machine in preparation for initialization. 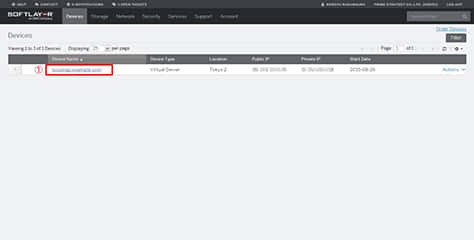 Using an SSH client such as Poderosa or other terminal software, log in to your virtual machine. The host name is the Public ID, and your password was shown in the details of your virtual machine. Use “root” as the username. Once the login is successful, the following screen will display.